crosses the continent from the wilds of Winnipeg to the haze of Hollywood as she encounters five mysterious men and the clues they reveal. She had lived without a past. An infidelity caused her to look at her life, leading to the revelation of the existence of a biological father. As she finds clues, the mystery unfolds, until she faces her BioDad's door in Hollywood. Does she have the courage to knock? 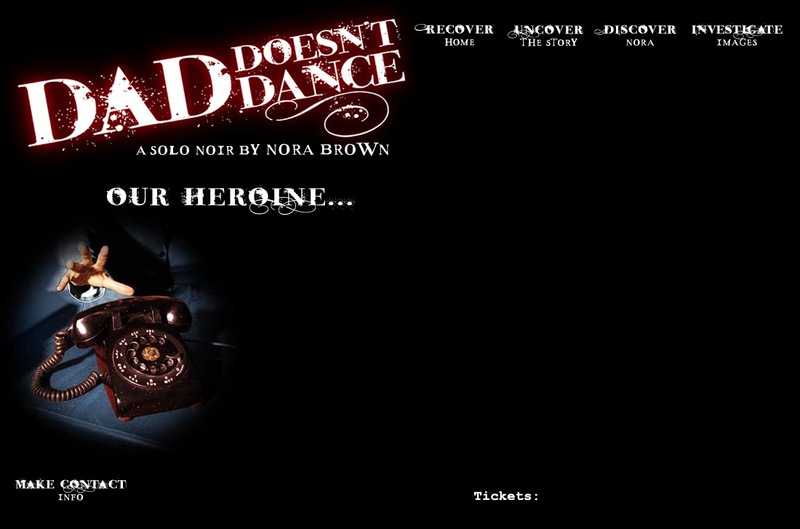 DAD DOESN'T DANCE has been performed at the New Orleans Fringe Festival 2010 and at the Midtown International Theatre Festival in New York City 2011, where it was nominated for Best Solo Show.